“No Alternative” is a personal film that, these days, is near impossible to get made in Hollywood. I’ve written a great deal about how the decline of the middle space of filmmaking has essentially mirrored the decline of the middle class in this country—the chasm between the one percent of filmmaking—tent-pole blockbusters—and the ninety-nine percent—indie films, which have been relegated to shrinking microbudget levels—has never been greater, or more stark. 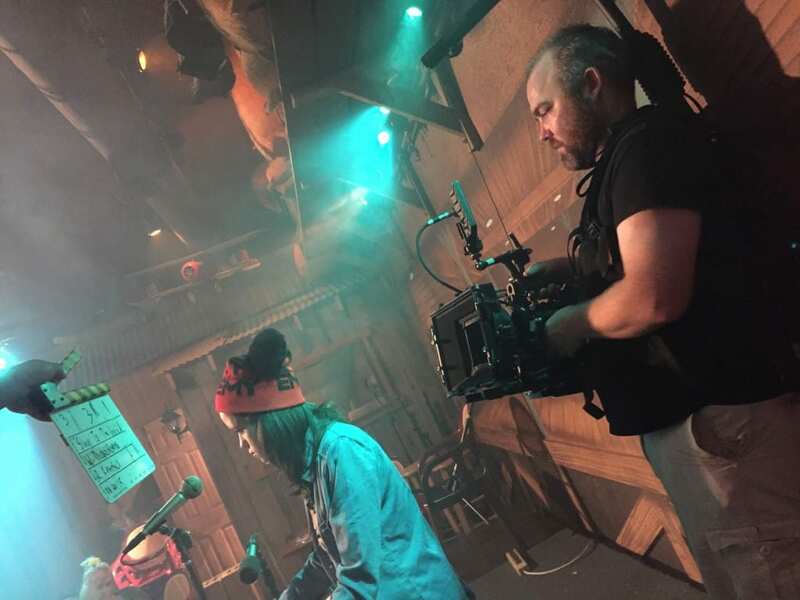 I’ve directed a few features and never really considered crowdfunding as an option, but Hollywood’s rather myopic focus on the “biggest” and “broadest” has led indie filmmakers like me to welcome such an avenue—we’ve always had to beg, borrow and steal, but such an ethos has never been more germane to independent filmmaking as it is right now. Inspired by my sister’s real-life struggles with mental illness, “No Alternative” couldn’t be more personal to me, and therefore it made for a good project to attempt to crowdfund. Through my research, I’ve found that people are more likely to contribute to a person with a personal story, with a cause, than to simply a story itself. We raised over $50,000 through Indiegogo and continue to raise funds through our non-profit sponsor, From The Heart Productions here: https://bitly.com/noalternativefilm. The campaign attracted a lot of attention and drew support from a great deal of people, including Amazon Studio’s own Ted Hope. We’ve been able to raise eighty-five percent of our budget from outside investors who were also drawn to the project and its accompanying crowdfunding campaign. It’s important to remember that crowdfunding campaigns are not only about raising money, they’re also about establishing, and subsequently building, your base. This base includes supporters, fans and potential business partners like investors, producers and keys of departments. The crowdfunding page for your film serves as its “go-to” hub for people interested in it. The best part of it is: if they like what they see and hear, they can be a part of making the movie a reality! I’ve been open and honest not only about my personal connection to the material, but also about the filmmaking process itself. I’ve written a book on microbudget filmmaking and plan to put my experience and theories on the subject to the test on this film, and I will be keeping a journal of sorts of the process and publishing it in Film Slate Magazine over these next few months as we make “No Alternative.” Stay tuned!